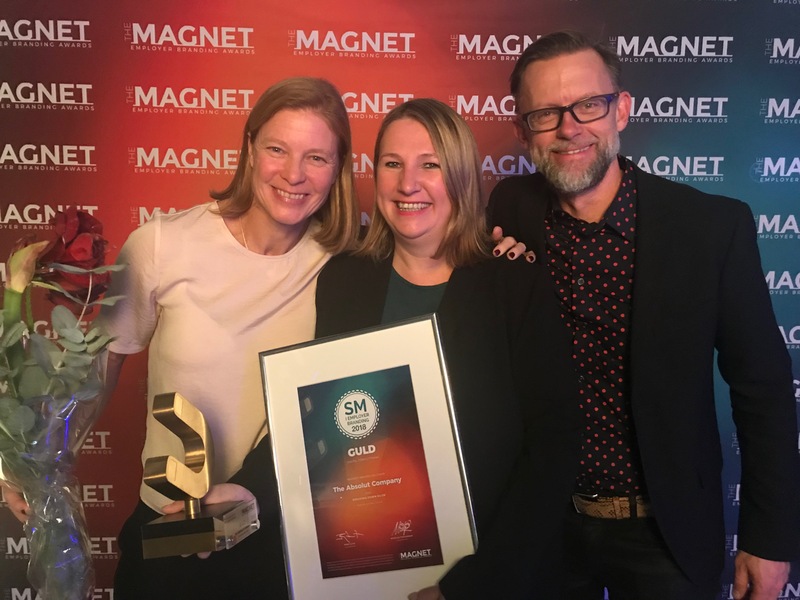 We Received The Magnet Gold Award! 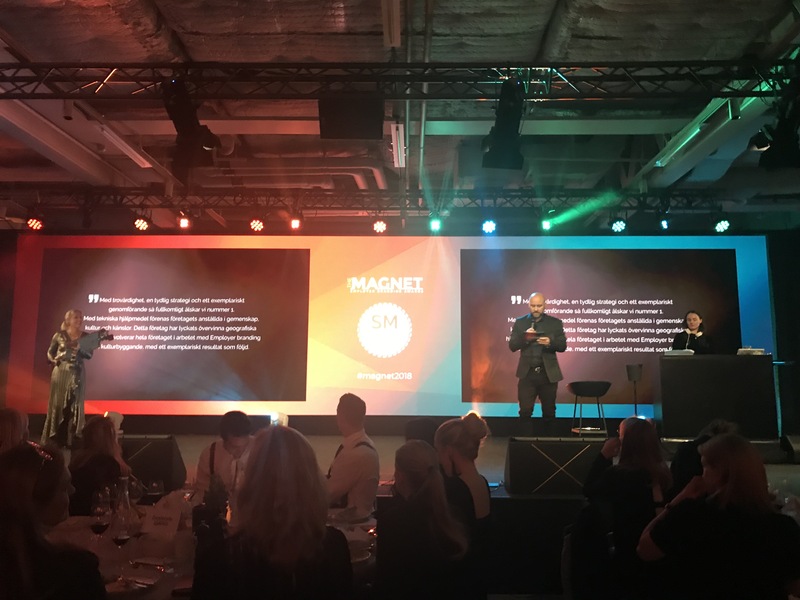 Together with our customer The Absolut Company we won the first prize for Digital Transformation in Employer Branding at the Magnet Awards in Sweden. 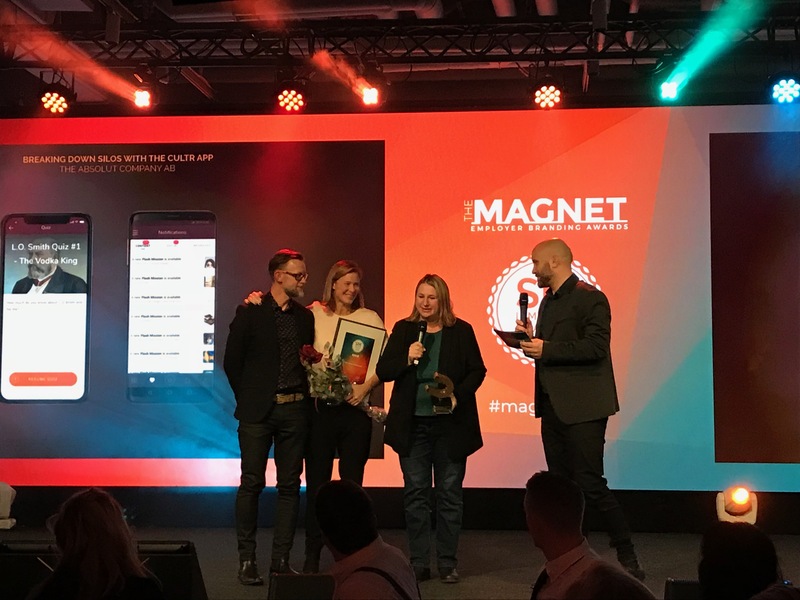 The first prize was award for Absolut’s use of our Cultr app in order to break down silos, bridge geographic barriers, involve the whole company in employer branding and building culture. Other nominees and the jury’s motivations can be found at (in Swedish) here. Interested to know more about how to break down silos and to build culture with the Cultr app? Please contact our sales! Please feel free to share the blog post below.